The Meguro brand was one of the first motorcycle makers in Japan later acquired by Kawasaki, and the bike maker could be bringing a new retro motorcycle under the nameplate. Japanese motorcycle giant, Kawasaki has filed trademark applications for the 'Meguro' nameplate in several international markets. While it's unclear what the company plans to do with the Meguro nameplate, the badge holds a lot significance in Japan as one of the first motorcycle companies in the country. The trademark for the Meguro name has been filed with the European Union Intellectual Property Office for use with “two-wheeled motor vehicles; motorcycles; bicycles; structural parts for motorcycles.” Additionally, the company has filed for the trademark in the US, Australia, New Zealand and the Philippines. It will be interesting to see the Meguro nameplate make a comeback and Kawasaki is certain to explore the brand's heritage with the products that come under it. Kawasaki could also look into introducing a new range of retro motorcycles under the Meguro sub-brand. Given the popularity of retro bikes world over, the new nameplate will help the manufacturer take on European brands like Triumph, Ducati, Moto Guzzi and the likes. 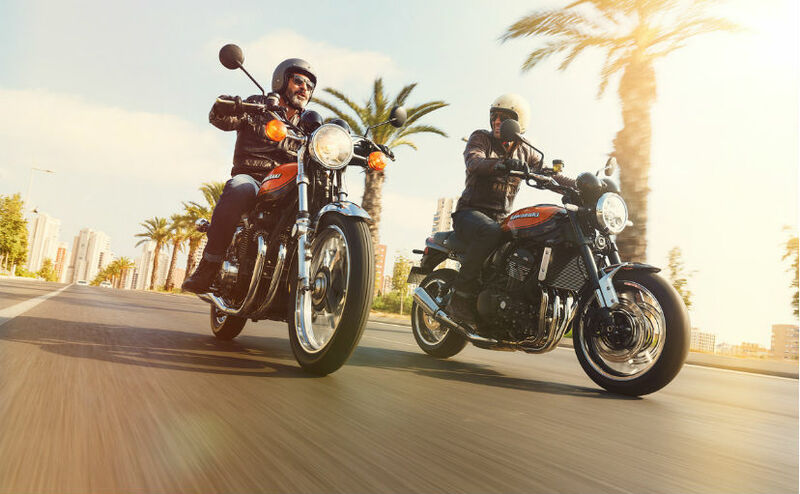 At present, Kawasaki's retro range includes the Z900 RS and the W800 motorcycles. Speaking about the brand's legacy, Meguro was founded in 1937 as part of the Meguro Manufacturing Company and was later acquired by Kawasaki in 1960. Meguro Manufacturing Company originally made transmissions, having acquired the technology from Harley-Davidson after investing in the American bike maker after the Wall Street Crash in 1929. The manufacturer later went on to make motorcycles in its home market and even supplied bikes to the Japanese government for the police and military. Meguro's motorcycles ranged from 50 cc, going up to 500 cc and were even used for races in Japan. The trademark does seem that the Kawasaki is all set to revive the brand.